Tickets go on sale at 10 a.m. Friday, April 26. The series takes place each Thursday at 6 p.m. through May 23. New York Times best-selling author Khaled Hosseini will speak at the Fayetteville Public Library on Friday, April 26. General public tickets are still available for the annual Springtime of Youth concert. Springfest, the annual street festival that began in the 1980s, will return to Dickson Street this Saturday, April 20. Tickets go on sale at 11 a.m. Friday, April 19. 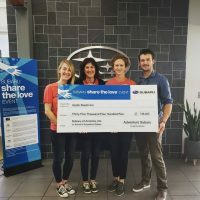 For the sixth year in a row, Adventure Subaru has presented a five-figure donation to local charities. Tickets go on sale at 10 a.m. Friday, April 19. Like its predecessor, ‘State of the Art II’ will showcase a nationwide selection of contemporary art from artists not yet recognized at the national level. The two-week tournament is at Blessings Golf Club, 5826 Clear Creek Blvd in Fayetteville. The venue recently added a couple big country shows, with Chris Young, Chris Janson, and Jimmie Allen set to perform on Friday, July 19, and Luke Combs, The Cadillac Three, Jameson Rodgers, and Dee Jay Silver to perform on Thursday Sept. 26. The eARTh Theatre Festival will include several 15- to 20-minute performances in difference locations throughout the garden grounds. The show, featuring original music by seven-time Grammy nominee Sara Bareilles, will take the stage at Walton Arts Center April 9-14. The event is open to the public and will include free comic giveaways for children, teens, and adults. A longtime Fayetteville school will celebrate 45 years in business with a reunion event this summer. 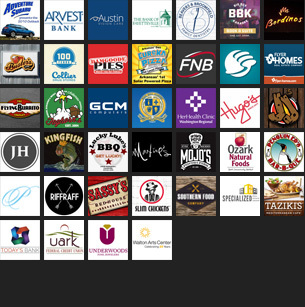 Attendees can get all the crawfish they can eat, including corn, potatoes, and sauces for $20 per person. 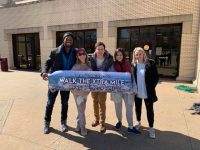 The march will take place from 2-4 p.m. on Sunday, April 7 in Fayetteville. We got in touch with Bryan and Bernice Hembree this week to learn more about their new record, and all of the other irons they have in the fire these days. Prog rock pioneers Yes will bring their Royal Affair Tour to Northwest Arkansas this summer along with Asia, John Lodge of the Moody Blues and Carl Palmer’s ELP Legacy.